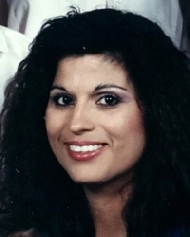 Maria Silvia Rendon obituary. Carnes Funeral Home. Dec 7, 2017 Sylvia how are you Ma? 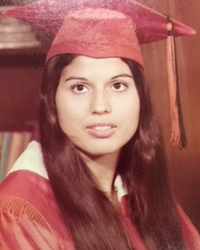 Maria Silvia Rendon was born in Mercedes, Texas on 27 February 1955 to Clemente and Rita Ramos. 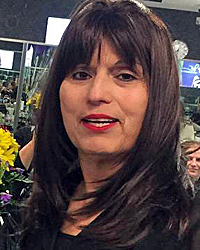 She passed away peacefully on Wednesday, 18 October 2017 at the age of sixty-two in Houston, Texas. She attended Texas City High School. She married her husband of thirty-five years, Jimmy Ray Rendon Sr. on May 27th, 1982. She was a devoted Catholic and parishioner of St. Christopher's Catholic Church. She was a long-time employee (thirty-eight years) of Visible Changes. 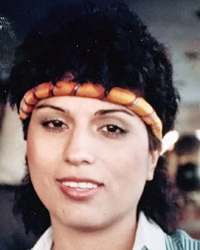 She is preceded in death by her husband, Jimmy Ray Rendon Sr., beloved parents, Clemente and Rita Ramos, mother in law, Zenaida Rodriguez and brother, Rudy Ramos. four sisters, two brothers, several in-laws including her caretaker Alice F. (Flaca) Tyson and numerous doting nieces and nephews along with adoring friends and loving close nit co-workers who were a big part of her life. There was not one life, soul or human whom she did not leave an impressionable impact on. She will be remembered for her courageous battle, her strong will, hard work ethic and huge generous heart. Anyone who walked into her life became family and she would treat you as such. Silvia loved, praised and adored all her children. She was proud of all of their accomplishments and instilled strength and patience. She taught them to put their kids before themselves and to work hard so that their kids could have a better way of life. There was nothing she would not do for her family. If it was impossible, Silvia made mountains move. She would never let you see her down. If she were having a tough day, you would not know it. She continued each day to the fullest. Those whose lives she touched will tremendously miss her. Visitation will be Monday October 23, 2017, 5-7 P.M. and rosary starting at 7 P.M. at Carnes Funeral Home – Texas City, 3100 Gulf Freeway, Texas 77591. Funeral Mass will be celebrated 11:00 a.m., Tuesday, October 24, 2017 at St. Christopher Catholic Church, 8150 Park Place, Houston, TX 77017. The Rite of Interment will follow at Mt. Olivet Catholic Cemetery in Dickinson, Texas.